Build and nurture client relationships with customised business emails. Email Marketing is an effective way to help you increase conversions and personalise your message for your customer base. Complete Cloud provides you with affordable email marketing solutions that are simple to use along with efficient tracking and reporting features. Create customised contact lists, surveys, set up auto responders all without any technical expertise required. 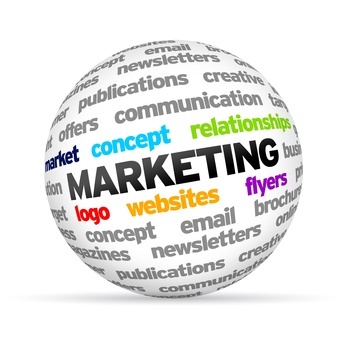 Call us at 1300 736 600 for details on email marketing plans and pricing. At Complete Cloud we provide you with email software that allows easy and quick campaign creation. With our easy to use Word style editing software, you can create your email campaigns with just a few clicks of the mouse. Import and manage all your contacts easily with our simple email software solutions. At Complete Cloud we provide you with simple step by step instructions to import and integrate all your existing contacts to any of your future email campaigns. Surveys and feedback forms are a great way to know what your competition is offering better and things that clients love about them. Create surveys and get customer feedbacks with our easy to use software. You need not be a technical expert to design great email campaigns. We provide you with excellent pre-designed email templates that you can use to create your campaigns. Design professional email campaigns with the click of a button! Once your email campaign is up and running, it is vital to keep a track of its performance. We provide you with advanced email tracking and reporting features that give you a detailed insight of your campaign performance so that you can make modifications accordingly. Never miss out on anything important. Our software allows you to set auto follow ups and responders including seasonal and holiday specials, appointments or feedback reminders so that you remain focussed on all your crucial business events. At Complete Cloud, we provide you with SPAM Check feature that assures you peace of mind. Also, with our compatibility tester you need not worry about the compatibility of your email campaigns for different available browsers. Get your queries answered over phone, email or chat 24*7. Our customer care experts will help resolve any technical issues related to your email marketing campaigns. At Complete Cloud we integrate your email campaigns with Google Analytics. Get detailed reports related to the performance of your email campaigns, know how many of your emails bounced, whether your clients read through your email or simply did not open it.